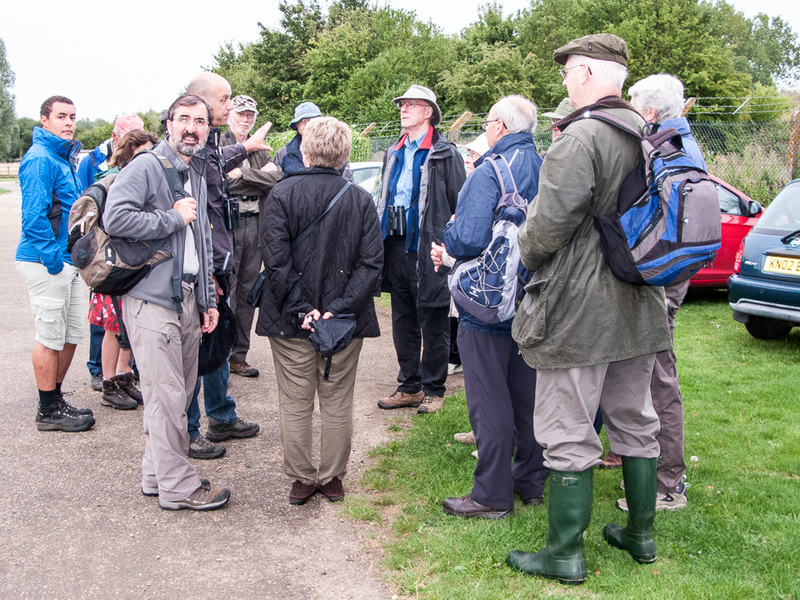 19 members attended the Society walk at Pineham Park on Tuesday 11th August. Martin explained that the site we were visiting had been used as a motorsports track for the past twenty years, but following a closure notice from MK Council, The Parks Trust are now in the process of levelling off the track and will manage the site for biodiversity. We met by the BMX track, giving the slightly surreal experience of a Nat His meeting next to a group of racing BMXs! A short walk along the Ouzel brought us to the M1. As we passed under this, we could hear bats squeaking from one of the drainage pipes set in the motorway. On the other side of the motorway, we soon came into an area of scrubby grassland and followed the dirt track. 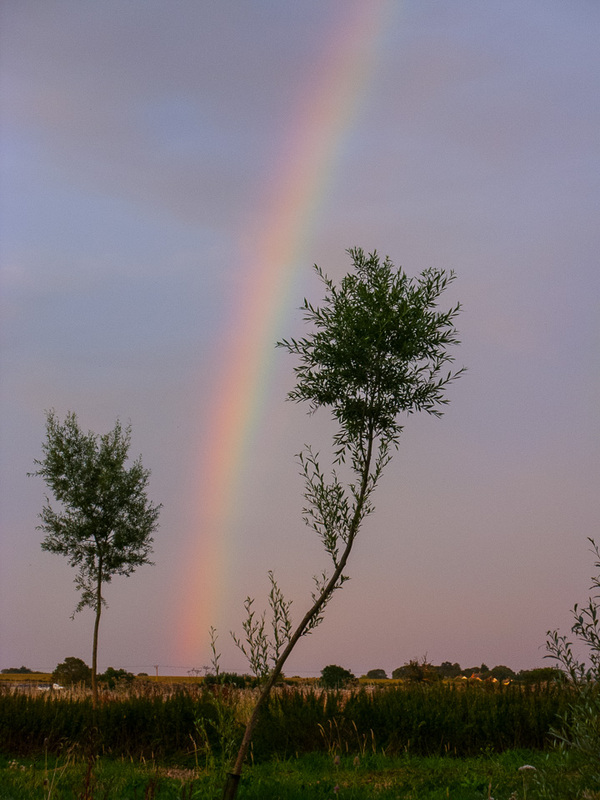 The meeting began in light rain but before too long the clouds lifted and we were treated to late sunshine and eventually a glorious rainbow. The sunshine brought the insects out in force. We had good views of Roesel’s and Dark Bush Crickets, Long Winged Coneheads and three common grasshoppers. We also had a good look at several Common Groundhoppers and several ladybird species. Although we were a little late for the butterflies, Linda Murphy found a Blood Vein moth. The site produces some good birds and the highlight of the evening was a kingfisher which gave good views as it sped along the Broughton Brook. Further along the track, we stopped at a straw bale which had been used as a crash barrier, strapped to a willow. A few taps of the bale resulted in hundreds of harvestmen which emerged and raced up the willow! Quite a spectacular site. The walk proper finished at 9pm and whilst most members went home, five of us returned to the M1. 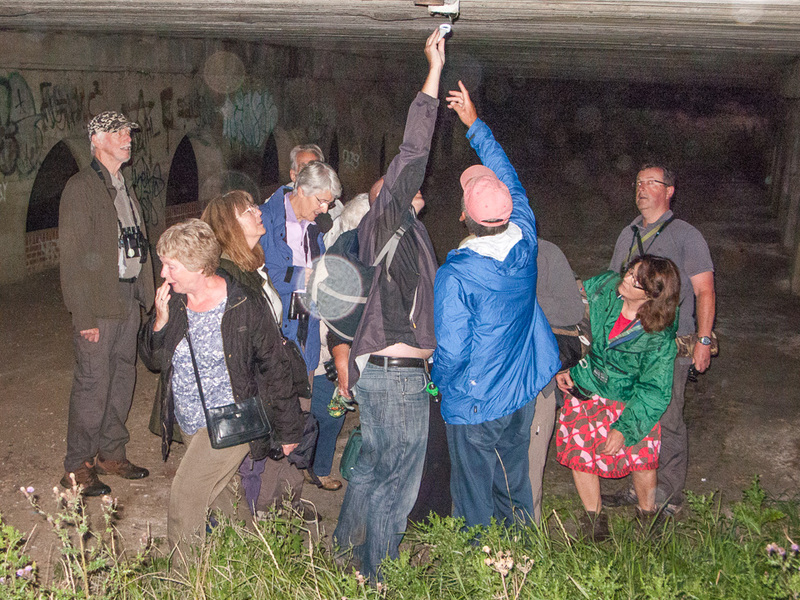 A quick look in the pipe with a torch showed us that there were 30 or more Daubenton’s bats present. 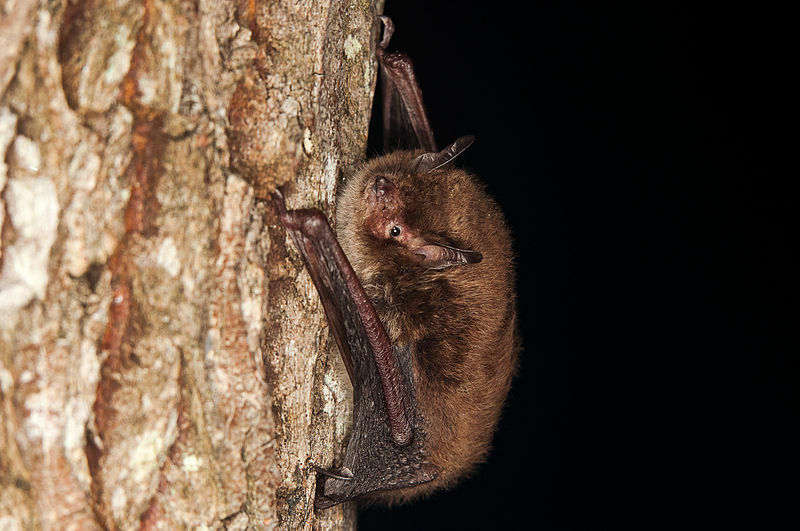 This was obviously a maternity roost, with female bats and there almost full grown babies. 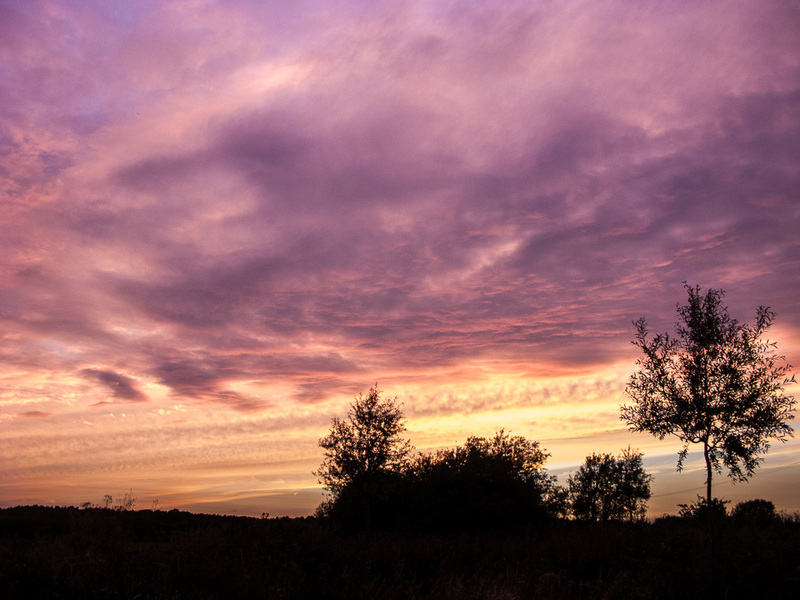 As dusk set in, the bats began to emerge and treated us to a fantastic display as they foraged low over the Ouzel. 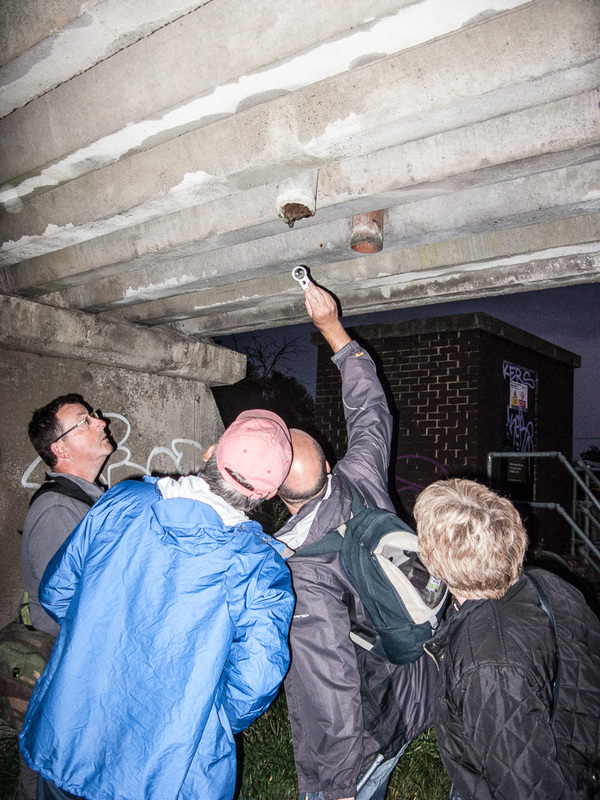 At times we had five or six Daubenton’s bats in the beam of the torch all at once and the sound through our bat detectors was a cacophony of noise! It was an unforgettable end to a very enjoyable evening. Martin Kincaid giving his introductory talk. This entry was posted in News on 12/08/2015 by admin.